Two Chicks On Books: Blog Tour- SALVAGE by Alexandra Duncan a Playlist and a Giveaway! Blog Tour- SALVAGE by Alexandra Duncan a Playlist and a Giveaway! 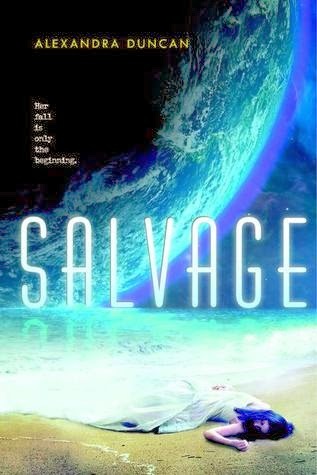 I am so excited to have Alexandra Duncan here with an awesome playlist for SALVAGE Blog Tour! I loved this book it was an amazing Sci-Fi space story! Check it out and make sure to enter the awesome giveaway below! Haven't heard of SALVAGE? Check it out! My book Salvage is pretty heavy. I don’t just mean that it’s 502 pages long and an excellent improvised self-defense tool with nice, sharp corners. It also deals with some serious subject matter. The story follows sixteen year-old Ava, who has lived her whole life on the deep-space merchant ship Parastrata. Her world is one where men maintain control of life aboard the ship, and women are mainly relegated to manual labor. After she makes a mistake that threatens her life, Ava has to escape to Earth and make her way on a world whose face has been changed by rising water levels. Grief and hardship follow her everywhere she goes. So naturally, most of the songs on this list are at least somewhat downbeat. And now my shameful secret is revealed: I have a great love of twangy emo indie rock, which I think you can see coming through in this list. Thankfully, I think twangy emo indie rock (with a little bhangra music mixed in) complements Salvage pretty well. I hope you enjoy! This song makes me think of the women of the Parastrata going about their daily duties as their ship comes into dock. Ava and Luck’s love is deep, but quiet. To me, it feels a lot like this song. The longing in this song is overpowering. It perfectly evokes how it feels to be separated from someone you love, the way Ava and Luck are. I think of this song playing when Ava and Miyole fly through the night to Mumbai. There are no words for what they’ve just been through. I love Bhangra music. It hails from the Punjab region, nowhere near Mumbai, but I think the tempo of this song is perfect for bringing up the image of a city so busy that it overwhelms you when you first see it. I imagine this accompanying Ava and Miyole as they try to navigate through Mumbai for the first time. This is a great song for Ava when she’s fighting to make her way in Mumbai and feeling world-weary. This song has all the playful happiness I imagine Ava feeling when she grows more self-assured and used to living in Mumbai. She’s finally found a place where she belongs. I imagine this song playing while Ava is traveling to Khajjiar in search of Luck. A good song for the end. But no spoilers! 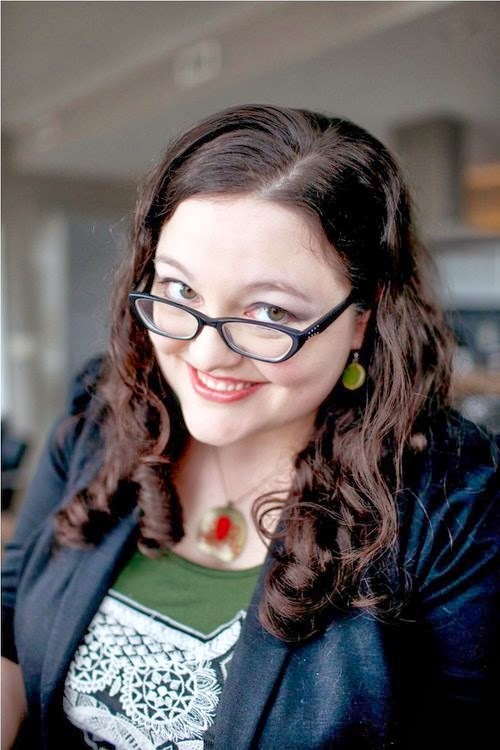 Alexandra Duncan is a writer and librarian. Her short fiction has been published in several Year's Best Science Fiction & Fantasy anthologies and The Magazine of Fantasy and Science Fiction. Her first novel, Salvage, is forthcoming from Greenwillow Booksin April 2014. She loves anything that gets her hands dirty – pie-baking, leatherworking, gardening, drawing, and rolling sushi. She lives with her husband and two monstrous, furry cats in the mountains of Western North Carolina. 10 finished copies of SALVAGE US Only. I love this cover and I have wanted to read this book for so long!!! I have had this on my TBR shelf for awhile! Thank you for this opportunity, fingers crossed!!!! I love reading song lists by authors. This book sounds really good as well! Love the playlist, can't wait to read and listen! Thanks for the giveaway! The book sounds really amazing. Love Science Fiction books. Been looking forward to this one since hearing about it on tea time! I've been drooling over that cover for way too long. I'm so excited that I can finally get a copy, it looks awesome :) Thank you!